Back to School is almost here for us! Every year I put together a homework station on the side of our fridge and I have a new one for this school year. I love this location because my kids do their homework on our kitchen island. Everything they need is just right there. 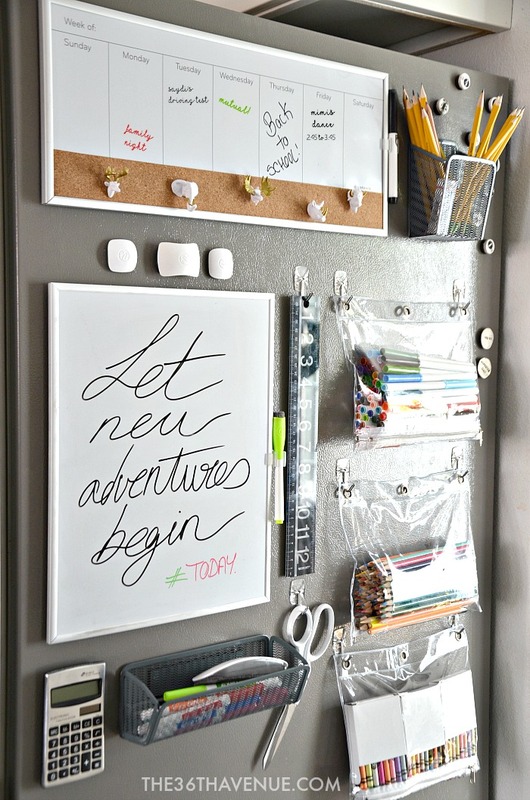 This is such an easy and convenient way to keep all of our school supplies organized and handy! Take a look! Before I started to do these back to school stations after a week of school we couldn’t find a pencil in the entire home. Let me tell you, pencils and socks have the magic power to disappear in our house! Can you relate? Is it just us? Seriously! No matter how many boxes of pencils I used to buy there were never enough. Well this little area has solved the problem and it has made homework time quick and fun! Let’s take a closer look! 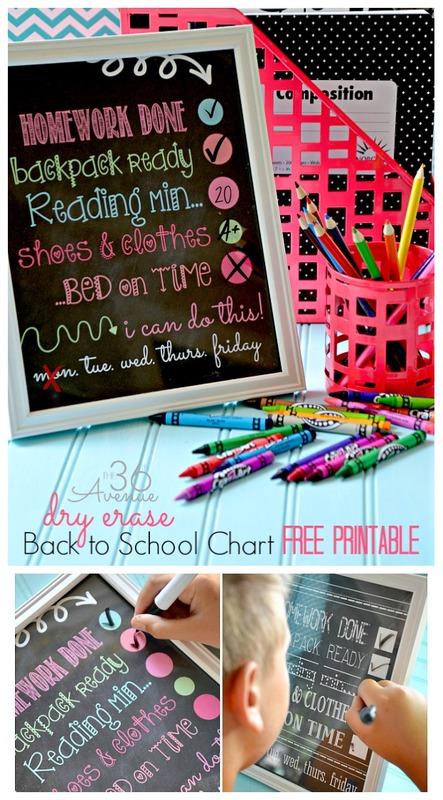 Here my kiddos can find the basic things they need for school. 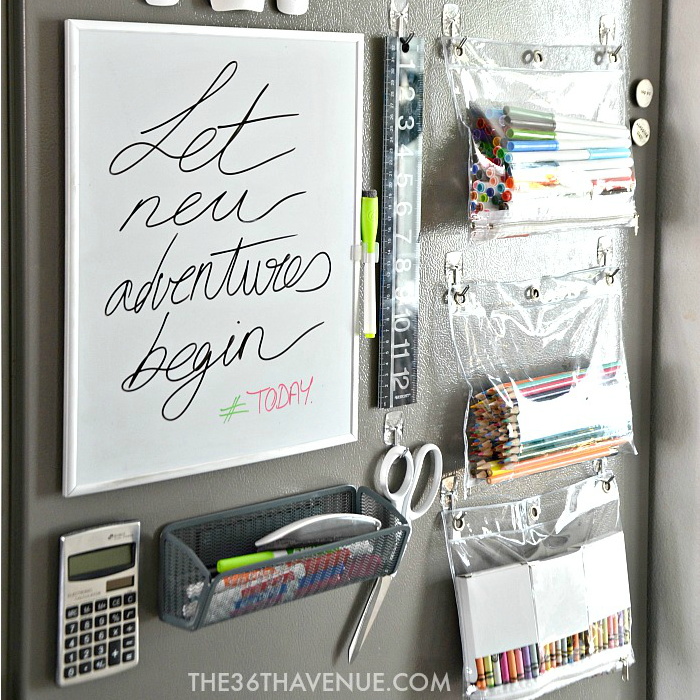 Materials like crayons, color pencils, markers, glue, erasers, rulers, scissors… All the goodies that they use all the time! The calculator is for mama 😉 Shish! Have you ever had your second grader ask you a math question and your mind has gone completely blank? It happens to me ALL THE TIME… I admit it I’m not good with numbers! 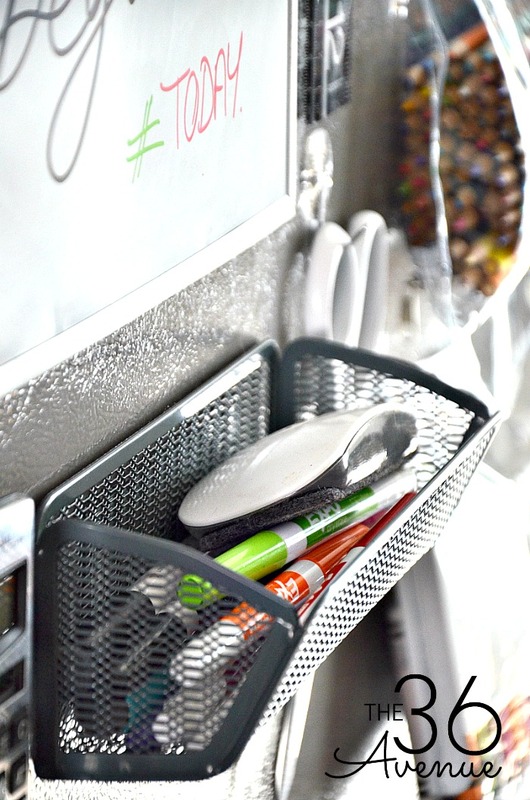 One of my favorite things are the way we store the crayons, markers, and color pencils. 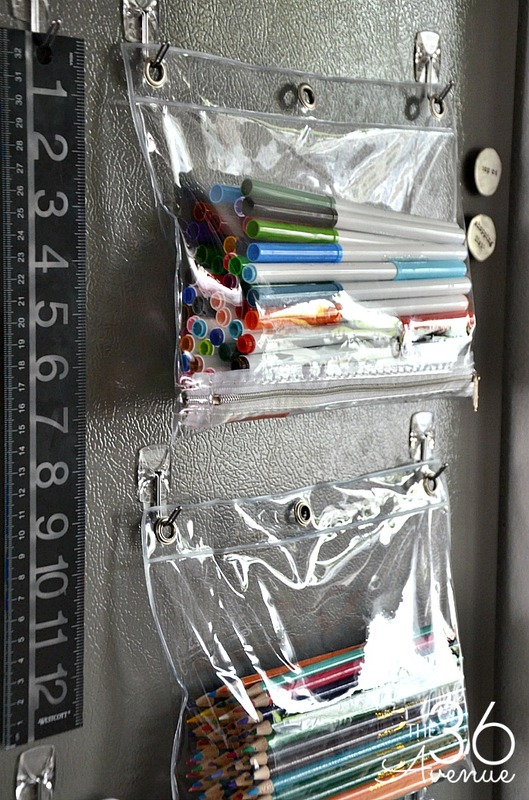 My kids can grab the entire pouch and take it to their working areas and hang it back up when they are done… So easy! 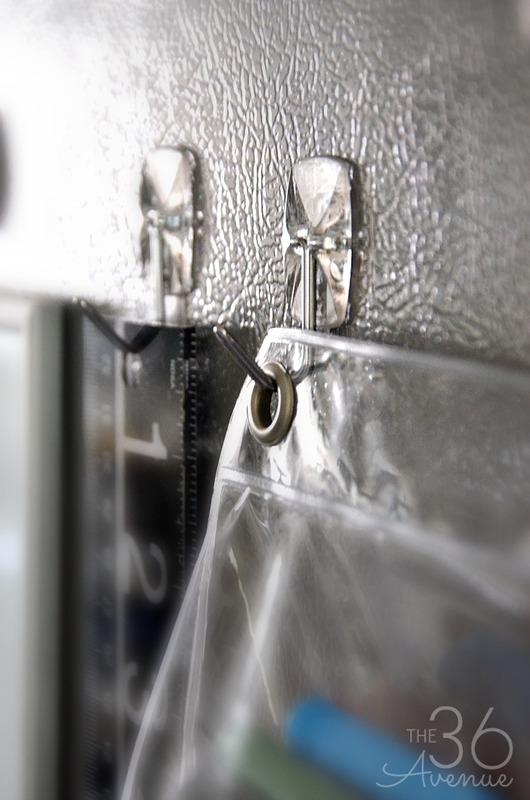 You can find these adhesive hangers in any convenience store. They are super easy to install and remove! One of my children’s favorite things is our message board. We take turns everyday and write a favorite quote. You can see some of the ones that we’ve done HERE on my Instagram page. Would something like this work for your family? 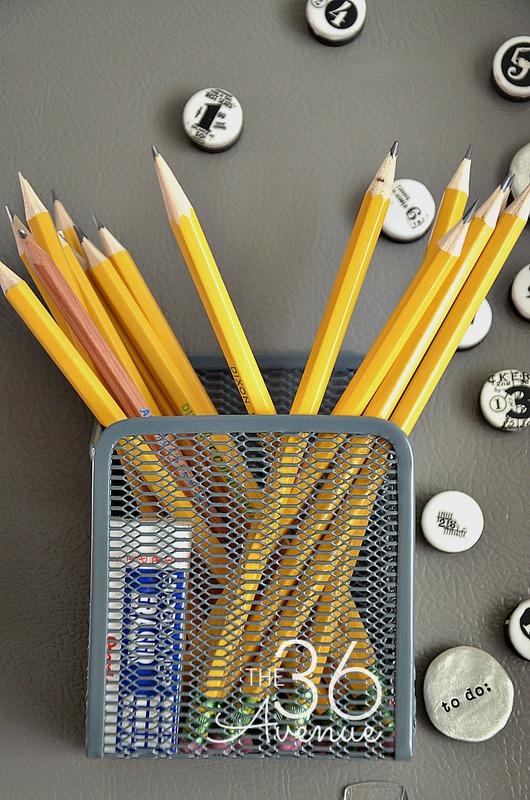 Do you have any unique ideas that you do to help your kids do their homework and stay organized? Leave me a comment… I would love to hear from you! You are seriously AWESOME! Thank you so much for stopping by today! 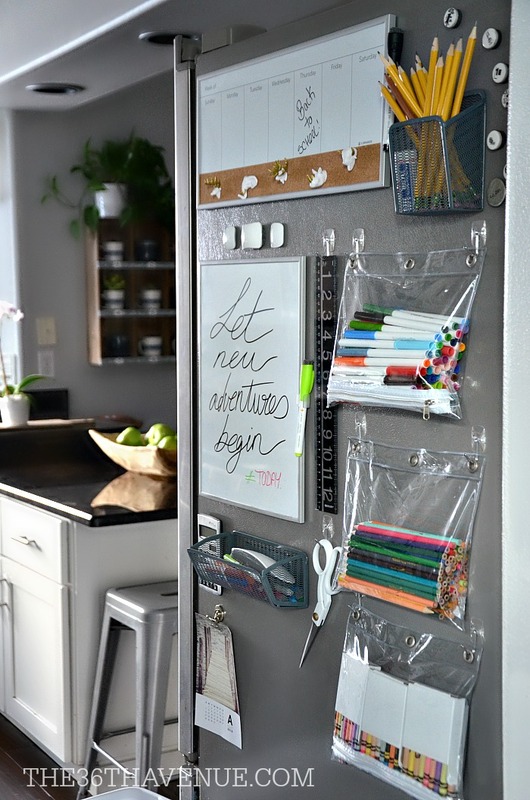 Looks so great Desiree, I was curious though as to how you got the caddy’s and calculator to stick to the refrigerator?